Dr. Abel-Rahman Mohamed, Ph.D., M.Sc. Dr. Mohamed has specialized in Interdisciplinary Cognitive and Development Communication, the science mediating human knowledge. As an accomplished scholar, communications, business and development practitioner, Dr. Mohamed has dedicated the application of his knowledge to the improvement of human quality of life for individuals and communities in developing countries across the World. Dr. Mohamed has a philosophy of “Solving Chronic Problems Naturally” and in this respect, he has consulted for many leading International corporations and institutions. His technical presentations to International bodies have included regional summits, the United Nations and World Bank. Among the many technologies he has promoted, Dr. Mohamed is credited with introducing Voice Recognition Technology to Africa and the Middle East, as well as popularizing Satellite telecommunications and broadcasts. As a leading African and Middle Eastern intellectual, Dr. Mohamed played important political roles. His contributions, interviews and articles by and about him, appeared in newspapers and magazines and on radio and television worldwide. He has had extensive experience with non-government and voluntary “Third World” and International development organizations, including a specialist status in the United Nations Social Development division. Dr. Mohamed chaired the Cultural Exchange Committee of Sudan’s National Council for Literature and the Arts and he is a founding developer of Khartoum University Press and People’s Knowledge Project, He is also a much sought after motivational speaker. As the first Third World Professor of Mass Communication in the Boston University’s College of Communication 1987-1995, Dr. Mohamed simultaneously held Associate Faculty positions in the Center for International Relations, African Studies Center, as well as the African-American Studies Center. He taught Development and Technology Transfer. A founding pioneer of the International Environmentalist Movement and Health Communication Programs, D. Mohamed also served as an academic adviser in BU’s Hubert Humphrey Fellowship Program of the Institute of International Education and lectured in the USIA sponsored training programs for journalists, newsmen, businessmen and senior executives from Asia, Africa, the Middle East, Europe and Latin America. In Sudan, he taught history and politics of Africa and the Middle East. Currently, he is the CEO of the Boston-based AIM International, Inc., a strategic cooperative alliance group specializing in the transfer of safe and innovative technology to developing countries. He had previously received training in a number of European Countries in Perfumery and Chemical Manufacturing Management. Dr. Mohamed was a Board Member of NAPATA and is the Honorary President of NUBIA, an international alliance of Nubians in the Diaspora to resurrect that devastated and forgotten cradle of human civilization. Dr. Mohamed also served as a Board Member of the African Communities Economic Development Of New England ACEDONE. He sits on the Community Ethics Committee of Harvard University Teaching Hospitals. He is a Special Guest Professor at the Boston Theological Institute, the Consortium of Boston main Universities’ Schools of Theology and Religion, and co-teaches the pioneering interfaith course, Abrahamic Family Reunion at Boston College. Dr. Mohamed earned his interdisciplinary Development Doctoral degree from BU’s University Professor’s Program. He earned a Master of Science at Boston University’s School of Public Communication in Publishing, Advertising and Marketing Management. At the University of Khartoum, he studied history, philosophy, political science, languages and law. He is a naturalized US Citizen on the basis of permanent residency in the immigration category of “Outstanding Professor” and he is the recipient of many honors including a 1993 Boston University Recognition, a 1992 and 1994 nomination for Excellence in Teaching, the Graduate Student’s special award for “Excellence in and devotion to Teaching”, a University of Khartoum citation, Historical Society’s First Prize Award for “Best Research of The Year” and World University Service’s BMA “Best Member Award. As an accomplished sports person he played professional first division soccer and basket ball, and was Captain of University of Khartoum Soccer and Basket Ball teams. He was the Inter-Faculty (College) MVP in 1966. Professor Mohamed is also an artist and a poet. Robert M. Littlejohn MBA., BSc. FISMM. CTIS. CRDS. Robert Littlejohn has specialized in interdisciplinary and interpersonal people skills, coupled with sales and marketing management on top of a technically orientated background in constructional engineering, timber sciences, Entomology and Mycology. Originally from Scotland, Robert immigrated to Ontario, Canada just after the new Millennium and thereafter relocated with his Canadian Wife and family to the Pacific Coast and the beautiful City of Vancouver in British Columbia where he came originally to take up his position as a Senior Director with the 2010 Vancouver Olympic Games Committee, VANOC. Having gained a Master’s in Business Administration and Human Resource Development, he minored in the sciences where he gained his Bachelors. In Scotland, Robert studied timber sciences and specialized in mycology and entomology, where he became a much sought after speaker by Professional Associations on various subjects including Industrial Relations, the True Dry Rot fungus and remedial investigation and treatments for buildings. Robert was also granted a Fellowship of the Institute of Sales and Marketing Management in 1982. He was also involved in a series of lectures to Post Graduate students at Edinburgh University on Industrial Relations and Trade Union Negotiations. For his services to British industry, he was formally nominated for an MBE to Her Majesty Queen Elizabeth. Robert is a humanitarian that cherishes family traditions and one who strongly believes in the spreading of knowledge and learning. Robert relocated to British Columbia to take up his position as Senior Director of Overlay Construction with the Vancouver 2010 Olympic Committee, during which time he played an important role in the creation of what has since become a legacy program for training under privileged inner city and First Nation’s youth in Carpentry. In the United Kingdom, Robert held the offices of Deputy Director (UK) for the Confederation of British Industry and Director for the Scottish Building Trades Employer’s Federation. He has published two books and has continued to write many articles and anecdotes for a range of companies and web based media sites. Robert’s passion is for all things green and truly natural with a particular emphasis on bio-fluids that can be used to effectively replace toxic and dangerous chemicals over a wide spectrum of uses and applications. 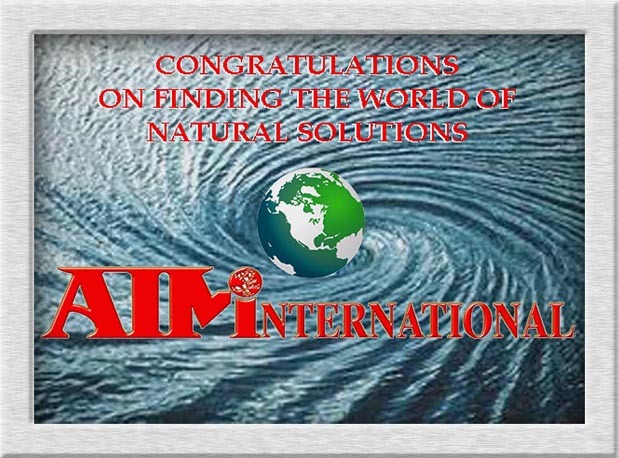 He is a strong proponent of natural solutions and their development for a range of worldwide environmental and health related issues. Robert, or Bob as he prefers to be known, continues his research in new bio-technologies and timber sciences and he also continues to write numerous articles, stories and other publications that appear across the globe.